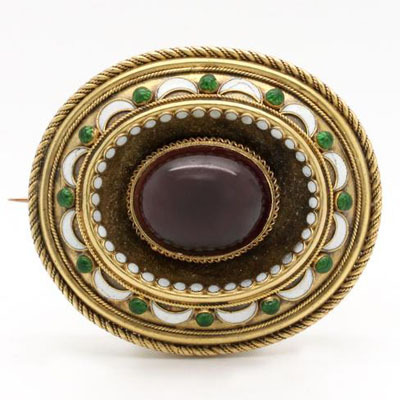 Antique Victorian Garnet Brooch - P3054 at Reliable Gold in Rhode Island Reliable Gold Ltd. 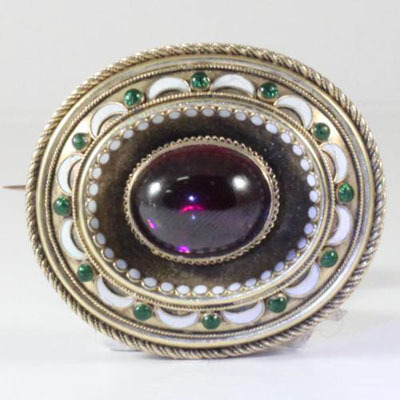 Antique, Victorian enameled pin with large oval cabochon carbuncle garnet measuring .52" X .63". Enameling in beautiful condition in shades of green and ivory. 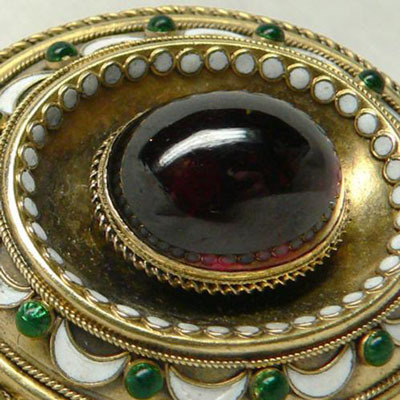 Back of the pin has a locket with glass covering, often used for a lock of hair as a keepsake in that period.